By now you’ve heard buzzwords like “connected construction”, “internet of things (IoT)”, or even “VR / AR”. 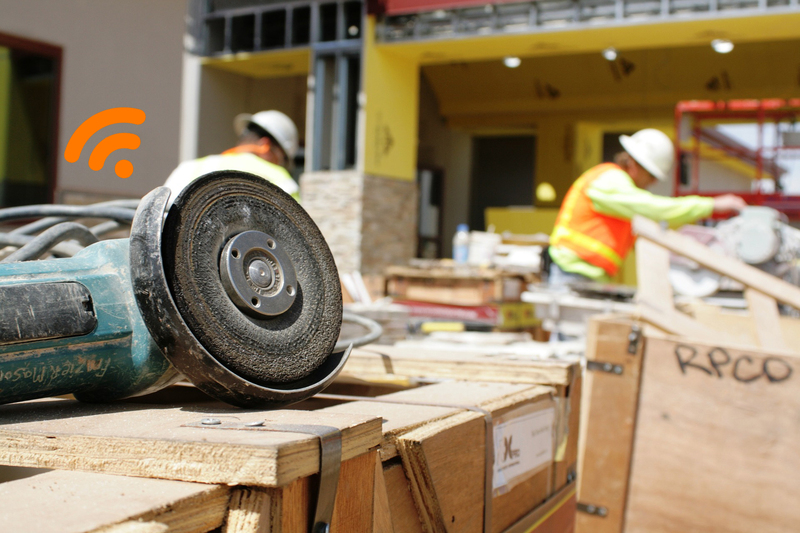 The idea and use of the connected construction site is not new, but as each day passes, it seems that the amount of jargon associated with building technology doubles daily. 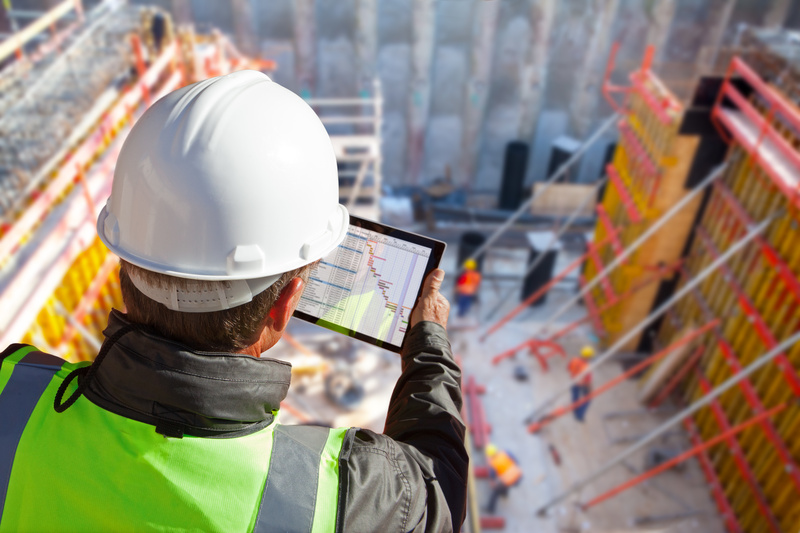 A connected jobsite can entail many things from digital documents and plans, to smart devices and wearables, to complete site monitoring. With the growing amount of technology being developed and improved upon daily, it may seem daunting to start grasping and using these ideas out in the field. So what we’ll do here is give you a light intro to some of the basic topics, and dig deeper into these topics in future posts. Your current jobsite may include some basic security monitoring like CCTV and code gates to permit/restrict entry. This is great if you have an issue and need to go back and look at the “tape” to see what may have happened at a particular moment, but today’s site monitoring is more than just about security. The current connected jobsite generally covers the site with a mesh network allowing wireless internet access and communication between everything and everyone on the site. The use of sensors to monitor weather, smoke/dust, and air quality give a real-time look at the environment that everyone’s working in. Cameras now not only record, in HD, what’s going on, but can also provide time-lapses and real-time progress. 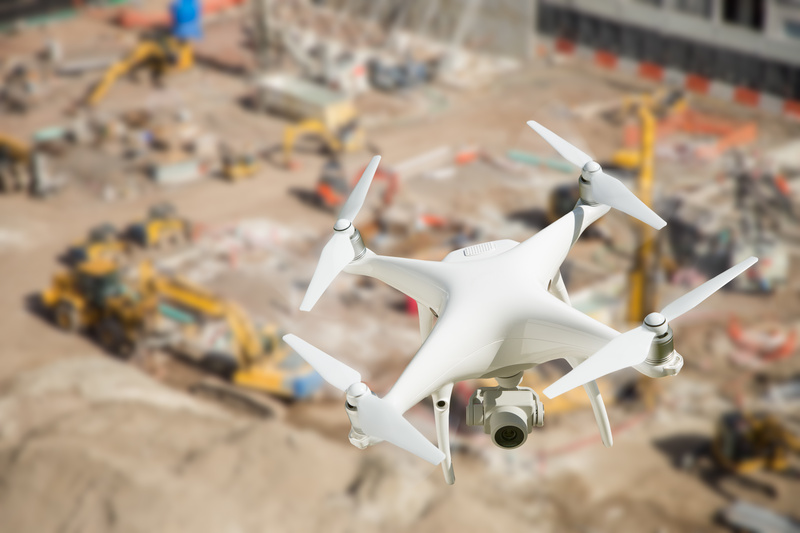 The use of drones also help visualize the site from angles to hard or unsafe for workers to get to. With the video and recorded data from the sensors, owners can get a much more detailed view of the job’s progress and conditions. Keeping track of tools and materials has always been part of the job, but with projects progressing and evolving so fast, it is harder than ever to keep track of everything all the time. Using technologies like GPS, RFID, NFC, and Bluetooth, it’s easy to track the exact location of where a tool was last used, or where a pallet of pavers was delivered to. Simply attach a tag to your tool or material and you’ve now got a way to track it, complete with GPS! Depending on the type of tag, tagged items can be located, their condition can be monitored, and you can even look up maintenance records or service manuals immediately from the field. Knowing the location and condition of items across the jobsite can save hours of time over the course of a project by being able to easily locate your assets. Safety has always been a number one priority on the jobsite, but with more machines, more people, and more demand for progress, accidents still happen. Utilizing some of the same technologies for site monitoring and tracking your tools and materials, such tags and sensors can be used to monitor each person on the site. A sensor placed on the worker’s badge or somewhere on his body, this wearable can help keep a worker safe and help avoid accidents. 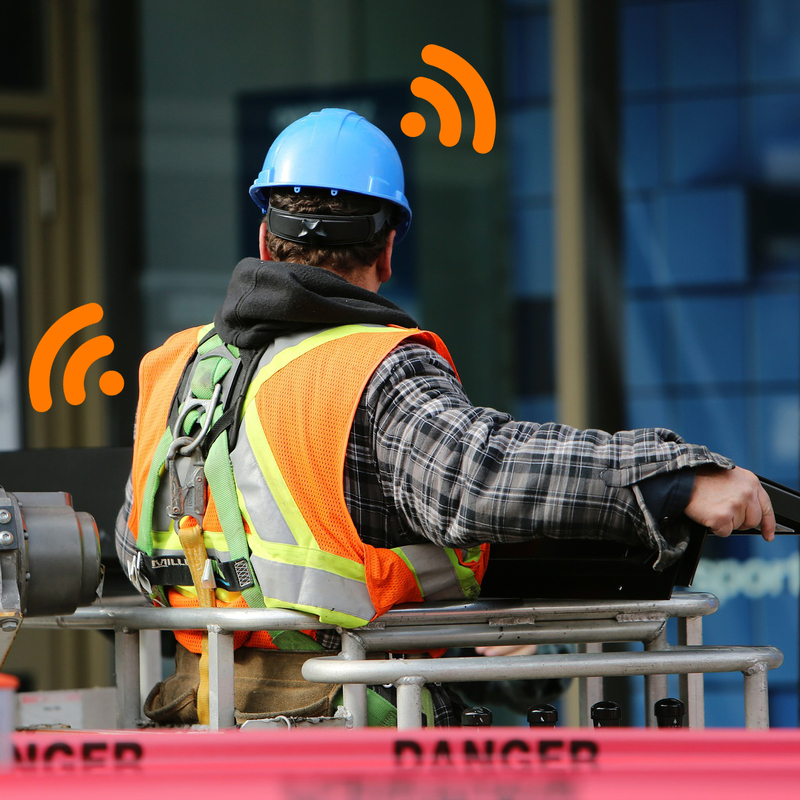 A wearable can monitor the location of a worker and alert him/her to an unsafe location. It can provide a proximity alert to other vehicles and heavy equipment so if they’re in its path, it can avoid a collision. The wearable can even record and alert on any falls or impacts of the worker. Not to mention, many wearables include automated time and attendance features so as soon as they step on the site, they are clocked-in. No more wasting time walking across the site to the punch clock! The importance of worker safety can’t be expressed enough. Not only does real-time safety help keep everyone safe today, but the wearable data can also be used to improve site conditions and help keep everyone safe tomorrow. Smart devices. Everyone has them these days. Smartphones, tablets, watches. You probably have at least two of these, within reach right now. If not, it’s time to step into the now. These smart devices are what keep us most connected to each other and are an invaluable tool to keeping connected on the jobsite. They talk with the tool trackers, site sensors, and other wearables to communicate passively or on-demand. And a smart device is nothing without its software: Apps. There are apps for plan collaboration. Apps for project management. Apps for take-off. Apps for tool tracking. Apps for time and attendance. The list goes on. The beauty of these apps is not only do they allow convenient access to resources, but also enable real-time information updating and collaboration. No more stopping and going back to the office and checking a spec. No more waiting for an RFI. No more endless searching for the location of newly-delivered materials. Just use the app! Your smart device is the key to staying connected and having instant access and getting instant notifications on everything that’s going on. 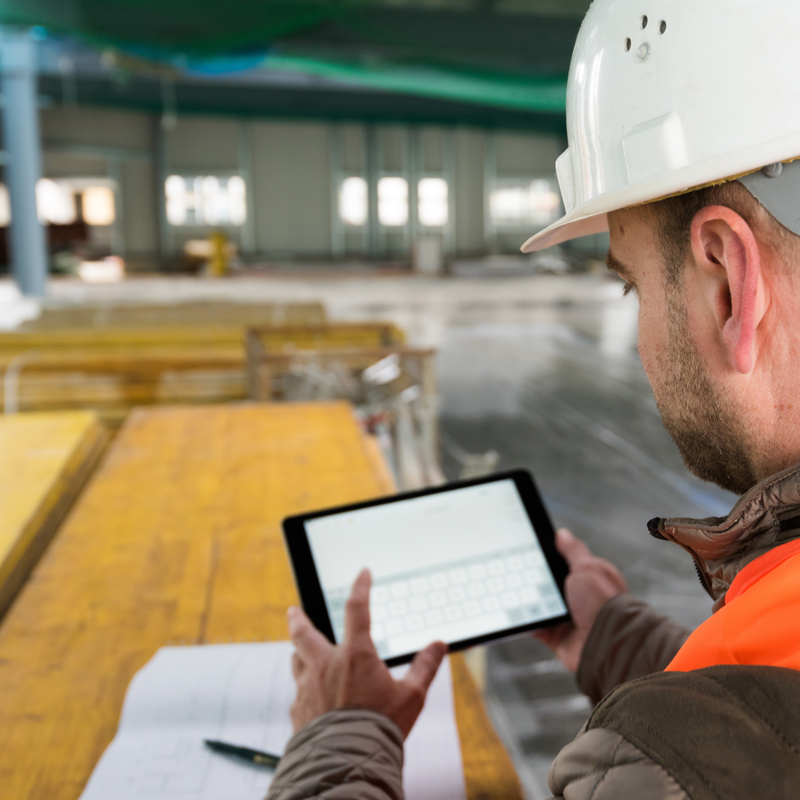 So, if you aren’t already, now is the time to get familiar with these technologies and terms of the connected jobsite. Follow along with this and our future posts on construction tech. We’ll learn more about what and how you can use technology to make your work safer, more efficient, and help you pave the way into the future of building.